In 1970s Spain, a twisted love triangle turns into a brutal battle between happy clown Sergio, who rules his circus with a bloody fist, and sad clown Javier, whose life has been filled with suffering. Both clowns love Natalia, an aerialist who has endured abuse as Sergio’s girlfriend. As the rivalry to win her heart grows increasingly more violent, pies in the face get replaced with acid and even worse. Spanish cult icon Alex de la Iglesia had his biggest crossover success with this gruesome must-see black comedy. Fans of SANTA SANGRE and director Sion Sono should appreciate the over-the-top finale. 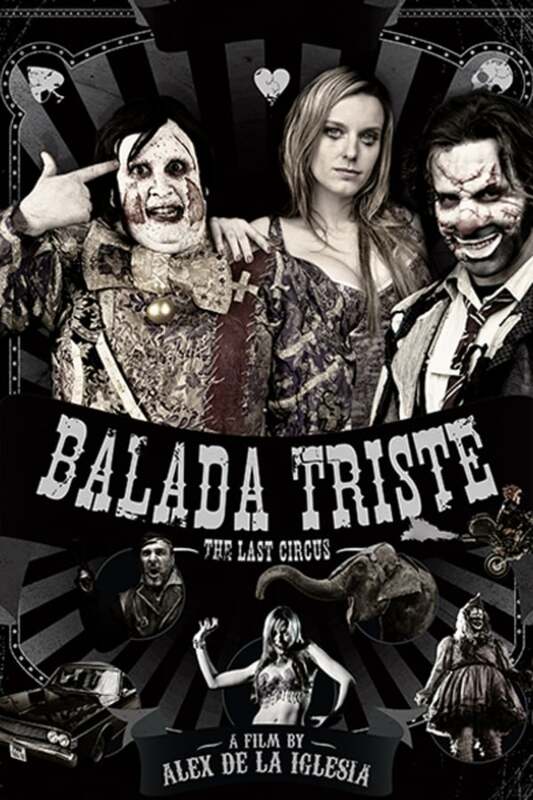 In 1970s Spain, a twisted love triangle turns into a bloody battle between two circus clowns. I thought it was good in the beginning, then I am not sure what happened... wouldn't watch again. was good in the first half but then kinda fell off and seemed to not know what it was doing but ended up being saved in the end. I wanted to like it as much as i was loving it 50 min in but it really spiraled downhill for me. still worth a watch I guess. One of my favorite foreign films of all time. A dark brooding yet entertaining film. Bien hecha, buenos actores y buen trama.